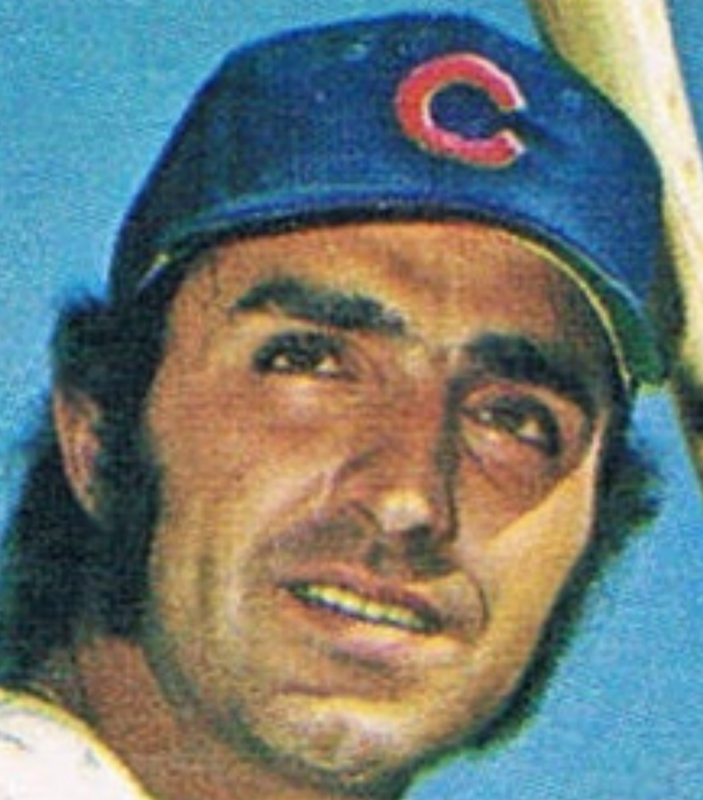 1960s-70s hurler Jim Perry won 215 career games, placing him in the top 100 all-time, but it's vogue in some baseball circles to re-examine the single-mindedness of wins and update how we value the men credited with them. For example, where does a starter like Jim, pitching in the era of 4-man rotations and multiple expansions, rate compare to today's 6-7 inning pitcher? And did he prove most deserving of the "win?" Whatever you think of Ws and Ls, SABR's Origin of the Modern Pitching Win does a great job laying out the "long, tortured history" of these stats. But! No amount of words can wipe the name Perry from our statistical record, especially when younger and winning-er brother Gaylord joins the conversation. Between Jim (215) and Gaylord (314), 529 opponents hit the showers in defeat. That's a lot of smiling in the Perry households. Today's type "card" is what it looks like, a soda bottle cap that sealed 1960s glass bottles of Coke or its related brands. You can also discern right away that the undersides of these Coke crowns are so small, you barely have room for a face and a name. "M5" tells you this is cap #5 from the M(innesota) team set and "P" tells you Perry is a pitcher. 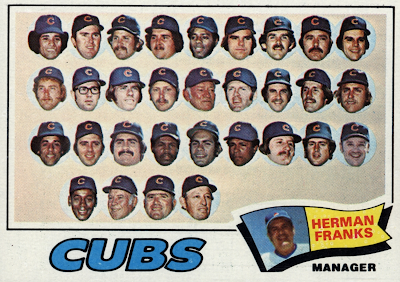 Jim's floating head style reappears on cards and collectibles from time-to-time. The easiest place to find them on cards are Topps league leaders and some teams. 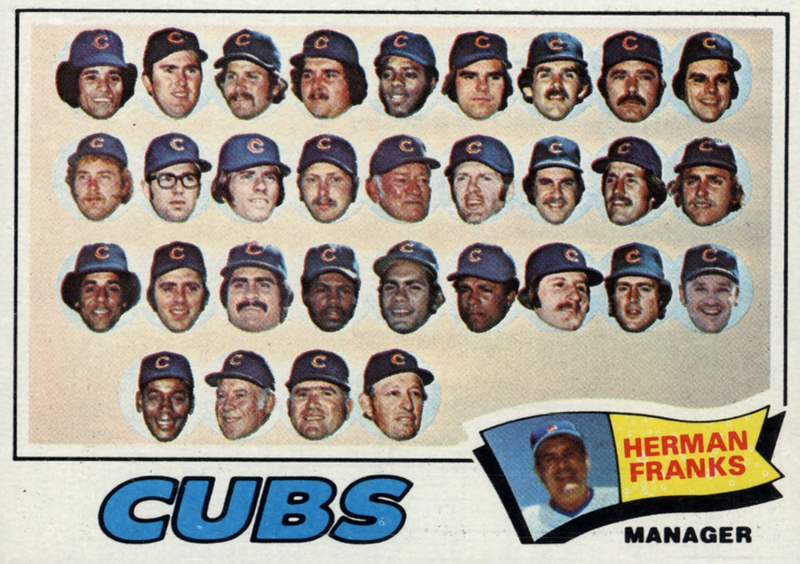 The Cubs, for example, often omitted an "annual photo" -- and no group photo meant floating heads. Chicago looked like this for much of the 1970s. My ode to the floating head, that side effect of too little space for too much baseball player. Fly free, fly clear. Look to horizons unconsidered, celebrate your lightness of being. Be yourself, be alive, be unexpected. Be Joe Pepitone's sideburns. 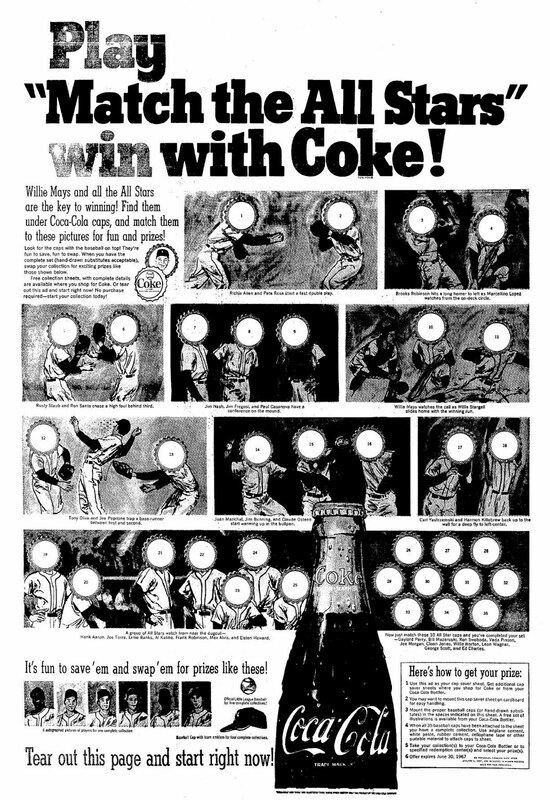 Coca-Cola put a lot of floating heads under bottle crowns in 1967 and 1968, matching collections of teams and all-stars to promotional posters like this one. Buy enough soda and you could swap crowns for (cheap) baseballs or ball caps. I cross-posted this poster from The Fleer Sticker Project's terrific profile of Coke's promotion and its hand-in-glove arrangement with 1967's "Dexter Press photos." You should read it and feel completely informed. Value: Perry cost me $3 on eBay. High grade stars cost somewhat more, but dinged-up crowns can be a cheap (25 cents) way to start 1960s oddball collecting. Fakes / reprints: It'd be tough to fake Coke's crowns and none are pricey enough to merit the effort. I've managed to piece together the Redsox sets from 67 and 68. Working on the Patriots caps now. Oh yeah, I believe Coke produced NLF cap sets since the 1950s. Hard to beat them to the punch on anything sports!